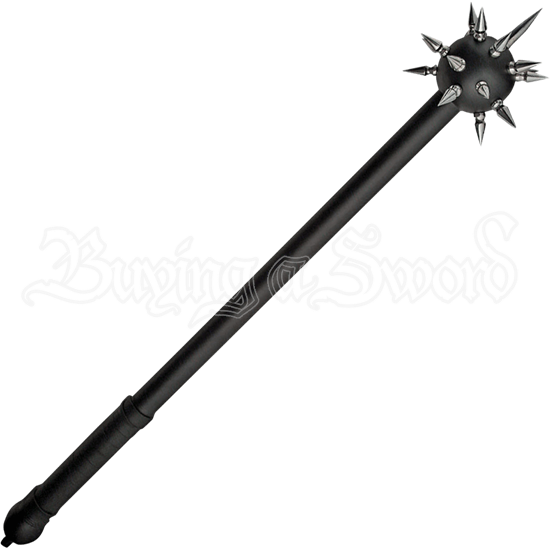 Decimate your enemies in battle with this Black Spiked Morningstar! Capable of crushing shields, shattering plate, and destroying doors, this fearsome weapon is designed for warfare and makes easy work where swords cannot! This knightly weapon is weighted toward the head to achieve maximum momentum with each swing. The spikes on the head of this Morningstar increase its effectiveness tenfold. Each spike is made of polished stainless steel, which contrasts with the black tones of the finish on the head and haft of the weapon, giving it a tactical and dangerous look.